Exercise bikes are popular pieces of equipment in the gym, which means they require regular cleaning and maintenance to ensure that they work properly. 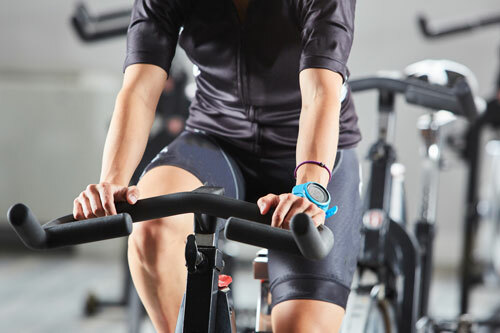 Fitness Machine Technicians specializes in repairing and maintaining exercise bikes. Whether your bike has malfunctioned or you are looking for a team to regularly manage your fitness equipment, we can help! Manufacturers recommend regular maintenance of gym equipment to help prolong the life of your machines. Want to get started with Fitness Machine Technicians? Request a tech by completing our contact form. Wipe down unit with cleaner and soft cloth. Check proper function of upper display. Check pedals to make sure there is no grinding noise. Inspect crank arm and drive sprocket, adjust as required. Inspect and lube seat post. Test and adjust belt tension.